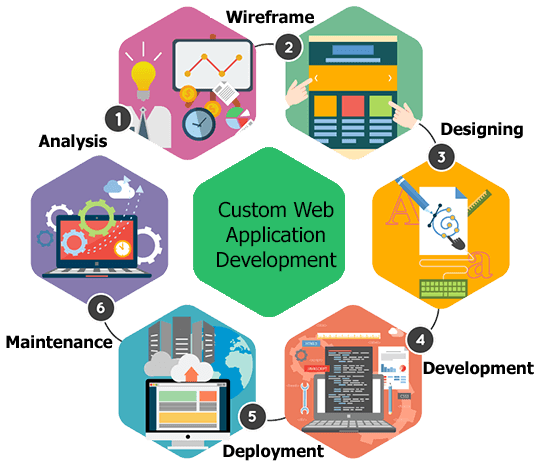 A custom Web site is basically designed to cater to the individual needs of a particular business or client. A custom web design is usually made for logo, email headers, layouts, styles, etc. to meet the specific needs of the website owner. The Freshly updated website is crucial for any business. You can make a difference with custom web designs. You can completely seek control over aesthetic, technical and functional features of your website. Moreover, it is a room for improvement for your old website with changing trends and technologies. This is how household names are made. We offer affordable Custom web designing services in Bihar. We work in close coordination with our clients, gets a complete insight into the business profile and presents unique and innovative web solutions. We present your business on the web as it is actually on the ground. We make it looks absolutely more appealing with a touch of creativity and incredible notions. We use advanced level tools and equipments. We have the power to connect the seemingly unconnected. Do you also want a big change? CHOOSE US! We have every dexterity and experience to customize your website in so stupendous a way that it itself speaks of your vision and mission. It helps you to target the potential users. More efficient valid coding and Superior quality. Perfect graphics, layout, color scheme and web tools that bear direct synergy with your business profile.